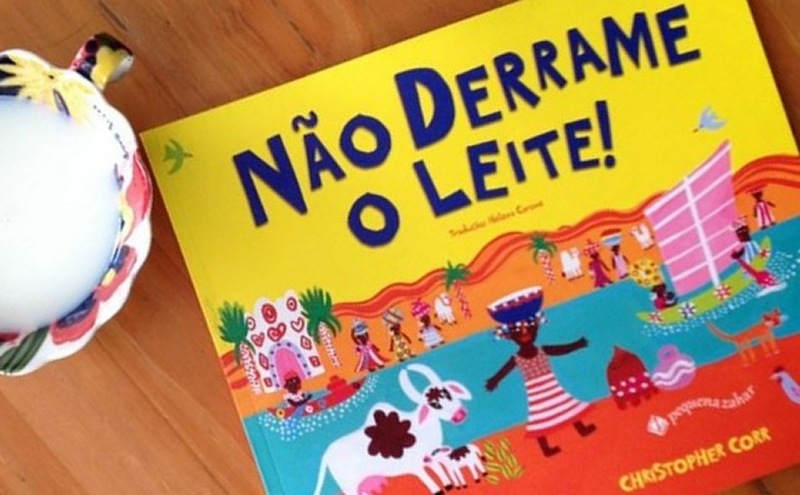 I am so pleased that DON’T SPILL THE MILK has come out in Brazilian Portuguese. Melissa, João Marcos, Beatriz, this one’s for you three! 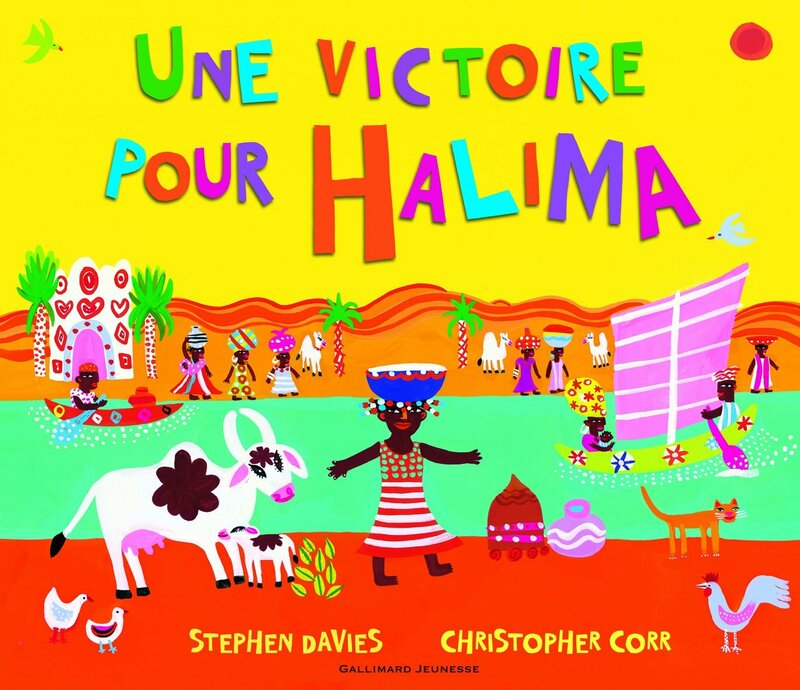 Posted on June 17, 2015 January 14, 2016 Categories Picture BooksTags Don't Spill the Milk, Niger booksLeave a comment on Não Derrame o Leite! My girls (5 and 2) love the CBeebies bedtime story at 6.50 every evening. All right, I confess, I love it too. 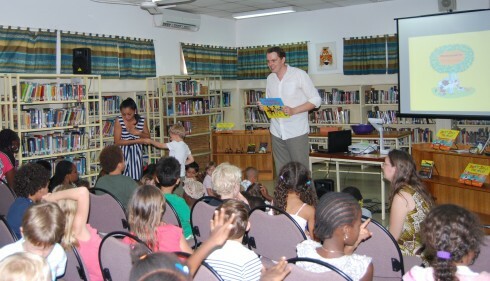 Great readers, great books and great mock surprise shown by presenters when the camera arrives and interrupts them talking to penguins / drinking milk / reading a newspaper. 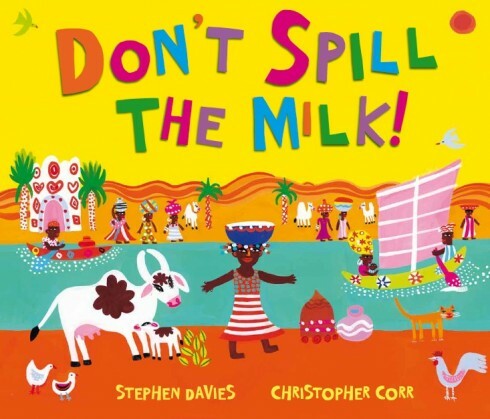 I was delighted when I found out that DON’T SPILL THE MILK had been chosen as a CBeebies story. It was beautifully read last night by Ore Oduba of Newsround / BBC Sports fame. 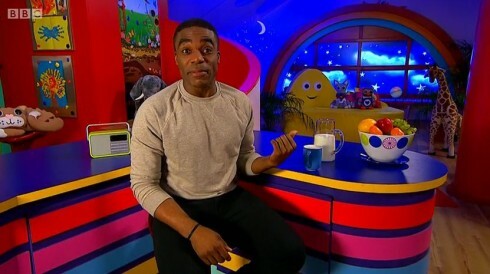 Here is a link to the video on iplayer, which will be available for the next month or so: DON’T SPILL THE MILK read by Ore Oduba. 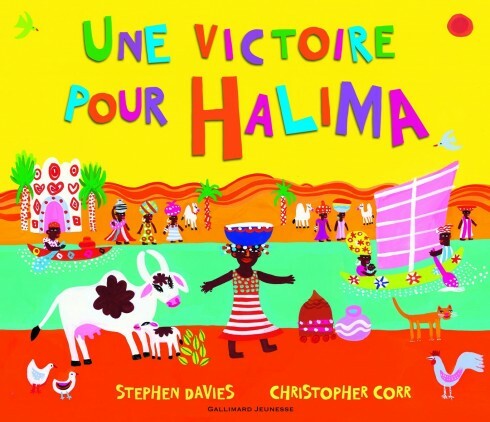 The story takes place in Niger (not Nigeria, CBeebies!) and shows a plucky little girl called Penda going on an epic journey carrying a bowl of milk for her dad. Will she get there without spilling any? 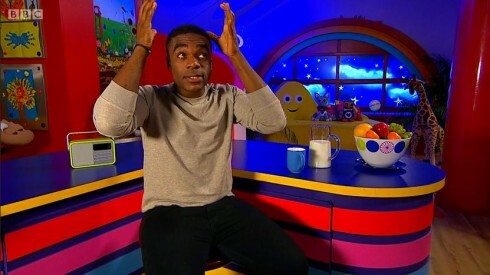 And in case, you’re curious, here’s Michael’s peformance on CBeebies! Career suicide, he calls it, but history suggests otherwise. Par le sentier des dunes, qui monte et qui descend, en bateau sur le grand fleuve Niger, au flanc abrupt de l’immense montagne, Halima transporte avec soin et amour une jatte de lait pour son père qui garde le troupeau dans les pâturages. Arrivera-t-elle là-bas sans en renverser une seule goutte ? 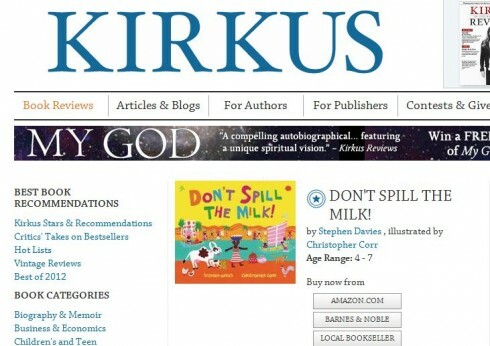 Most people haven’t heard of Kirkus reviews, but authors obsess about them, along with Amazon rankings and book festival invites and whether or not to #retweetpraise. The main thing about Kirkus reviews is this: they are notoriously tough. They don’t shy away from pointing out naffness in all its forms. And the thing about Kirkus STARRED reviews is that they are elusive little beasties that hide in the forest most of the time and aren’t prone to gathering for picnics. When you encounter one, you have to take photos and blog about it, because it could be several decades before you see another one. You’ve been a long time coming, Monsieur Etoile. I’ll never forget seeing West African giraffes for the first time. They are so pale and elegant and otherworldly. Couldn’t resist including a giraffes spread in my forthcoming picture book Don’t Spill the Milk, gloriously illustrated by Chris Corr. When I first saw the West African giraffes back in 2004 there were only about 150 left. Now, according to this heartwarming video, there are more than double that number. A real conservation success story – long may it continue. Christopher Corr is making good progress on the illustrations for DON’T SPILL THE MILK. I can’t wait to see the finished product. 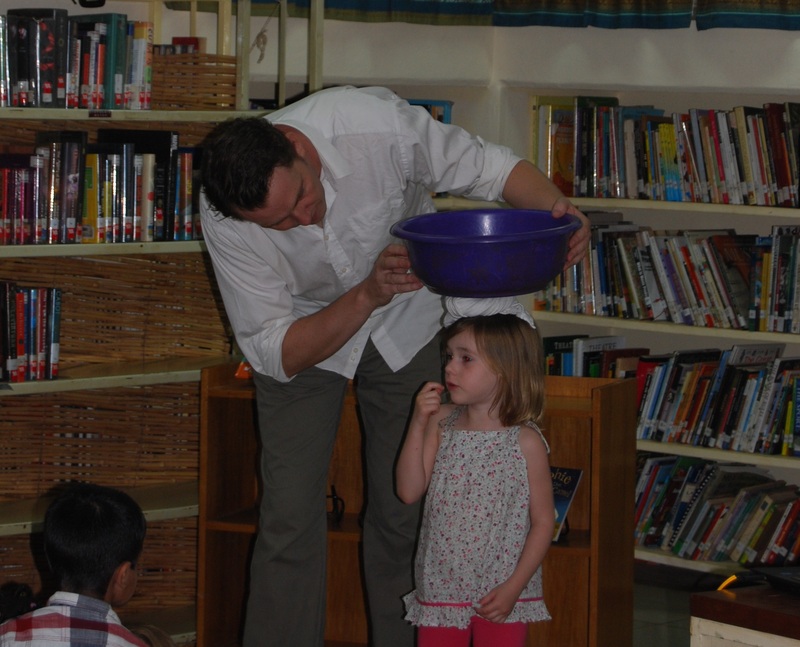 Keep it on your head girl – milk don’t float! 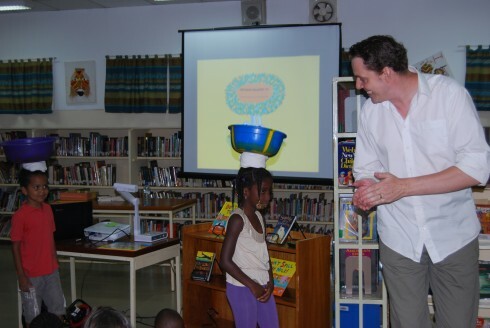 DON’T SPILL THE MILK is the rap-inspired story of Penda, a young girl taking a calabash of milk to her goat-herding father. The journey is long and treacherous. 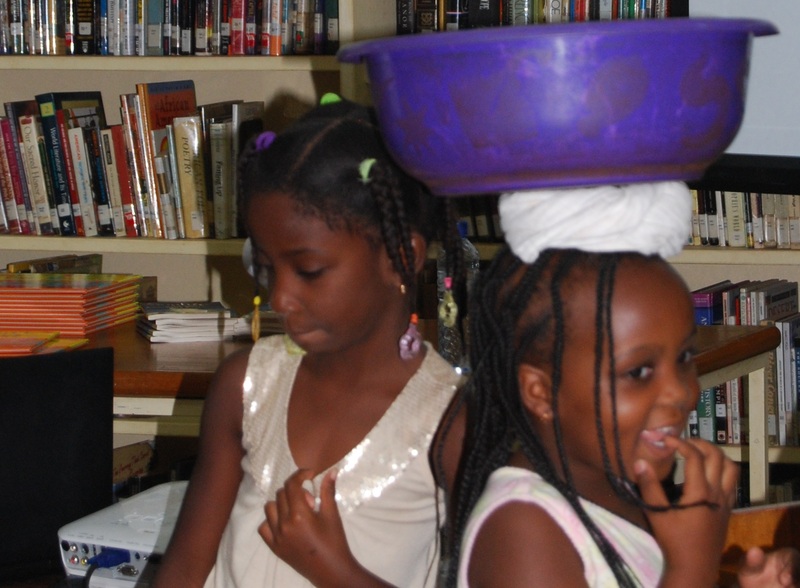 Will Penda deliver the milk safely?